Mortgages by Michael - Understand. Simplify. Guide. Where are you in the Home Financing Process? Born and raised in Saint John, New Brunswick, Michael has resided in Calgary since 2001, with a brief relocation to London, Ontario from 2003 to 2005. An avid reader and lover of music, an ideal day is spent working with music on and constantly having to turn it down when answering the phone, then falling asleep in the evening after having read one page of a book. Michael’s other interests vary from economics and real estate to travel and pondering why 7eleven doesn’t change their name since they are now open 24/7. Husband and father of two active and spirited children, Michael treasures his time with family both at home and in New Brunswick and Ontario. In his spare time, Michael operates a shuttle company to gymnastics, dance, swimming, yoga, fencing and wall-climbing. In addition to pretending to know how to snowboard, Michael is an aspiring beer snob and is contemplating whether to start liking scotch. – Sean & Denise B. 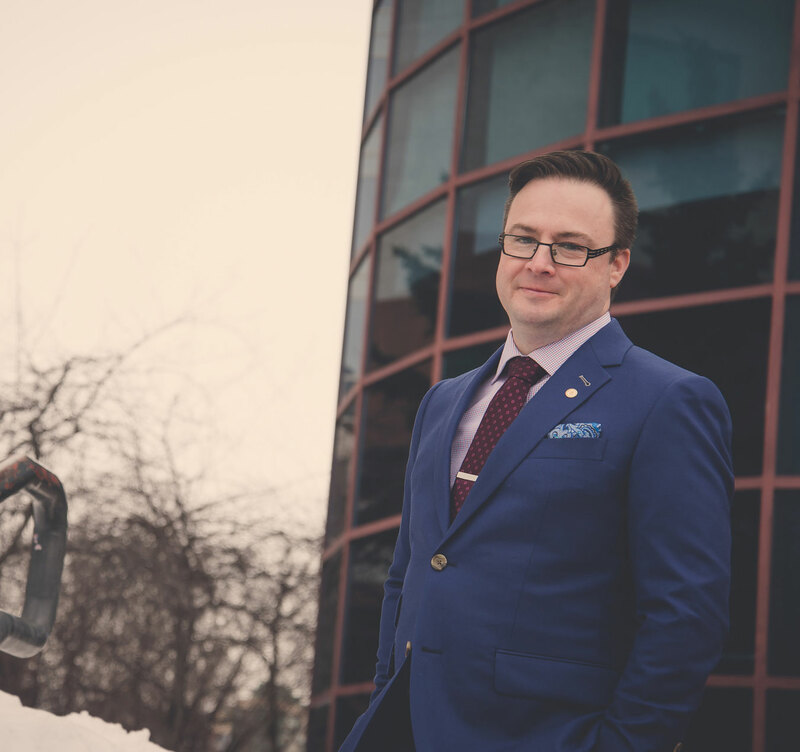 As a dedicated BMO Bank of Montreal Mortgage Specialist, Michael is committed to assisting clients at all stages of life with any home financing need; whether it’s buying a first home, dream home, investment property, refinancing to access equity or switching a mortgage from another lender to BMO. – Steven & Chelsey G.
Michael has two goals that are kept sharply in focus when working with every single client. First, that he understands each client’s unique situation and ensures they have the very best advice and the right product and features that fit their needs. Secondly, to provide an experience that undoubtedly allows for referral and recommendation to friends, family, co-workers, or strangers on the street who overhear the cheers of joy. With a passion for first-time home-buyers, Michael excels at building trust, putting clients at ease and guiding the journey. Forget about banker’s hours. As a mobile mortgage specialist, Michael is available to meet with you anywhere at any time; in your home, office, favourite neighbourhood java spot or any BMO branch in Calgary and surrounding area. – Sandra & Don M.